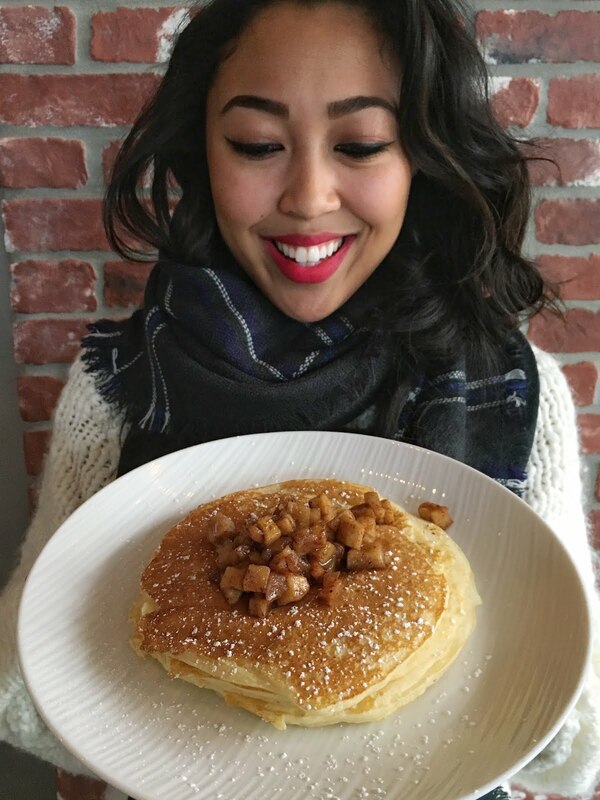 When I first set out to make this blog, I knew I'd have to incorporate my favorite breakfast item of all time--pancakes. 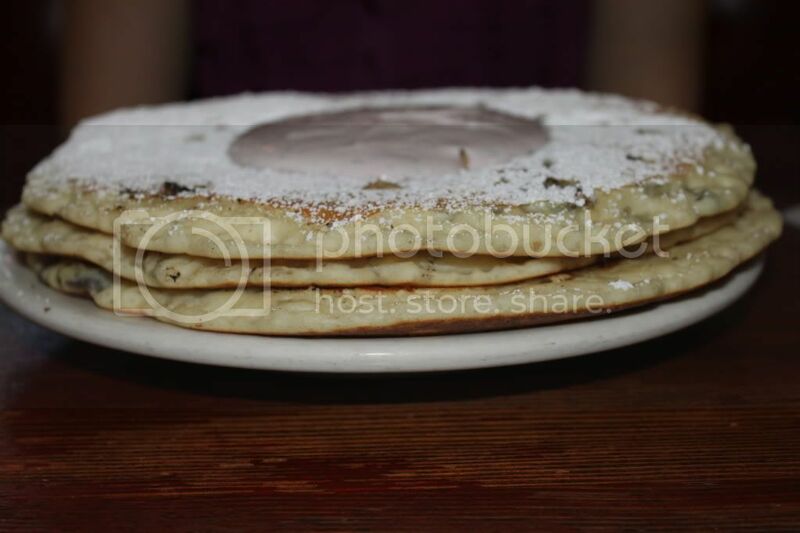 So I thought, "What's a better way to do so than by trying out one of the most well known pancake houses in LA?" 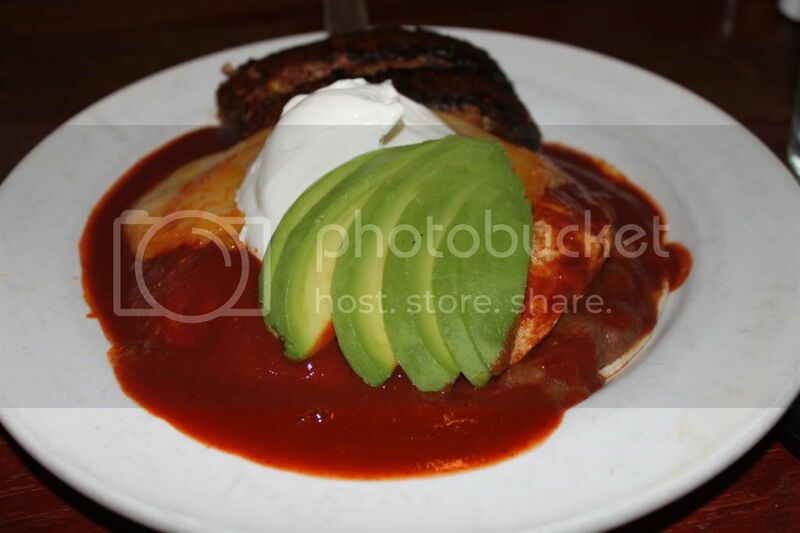 Ironically enough, as soon as I stepped foot in Griddle Cafe, it was the "Tequila Sunrise" huevos rancheros that made my mouth water. 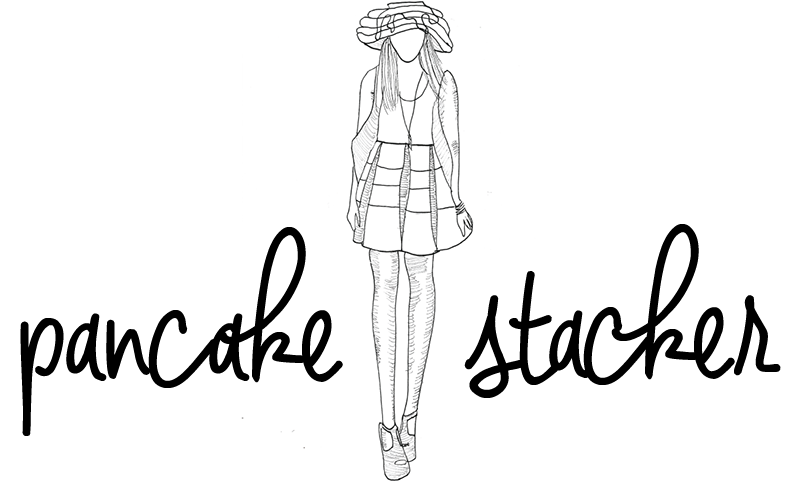 I sat, conflicted, as I could not for the life of me decide between a stack of pancakes or eggs. 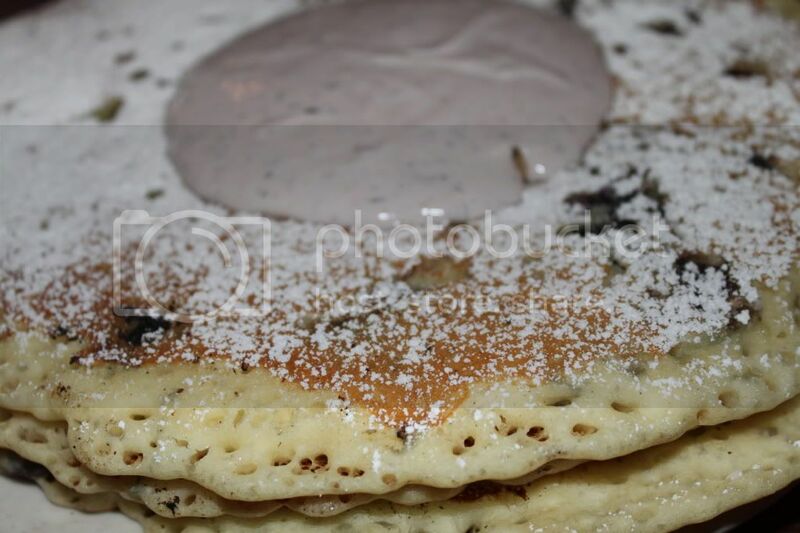 Luckily for me, my friend, Alex, was kind enough to share her delicious, melt-in-your-mouth, BLUESberry pancakes, when I decided to go for the huevos. With its plate-sized pancakes, The Griddle Cafe is not for the weak-minded, as one must come mentally prepared to devour these babies. Without a doubt, you definitely get more bang for the buck with the generous sized servings of food. 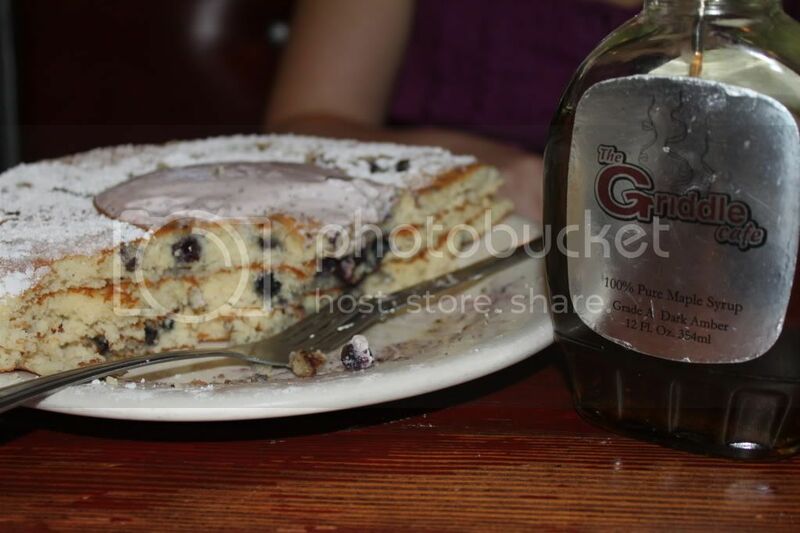 BLUESberry, Barry Yellow, and Wholey Moley, are just some of the cleverly crafted pancake names that Griddle Cafe has to offer. I have to admit, I was a bit skeptical at the thought of a mound of sour cream at the top of a stack of pancakes, but they only added to the explosion of sweet flavor in my mouth. 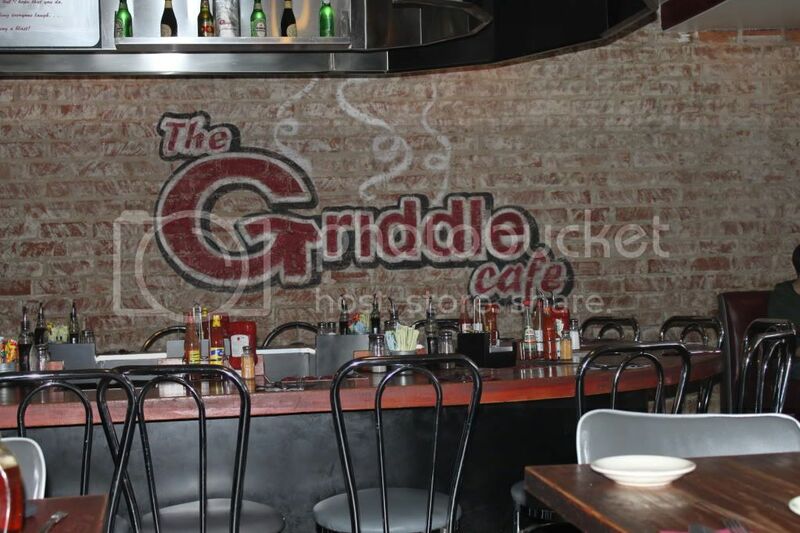 The Griddle Cafe is located at 7916 Sunset Blvd., Hollywood, CA 90046 at the Corner of Sunset and Fairfax. 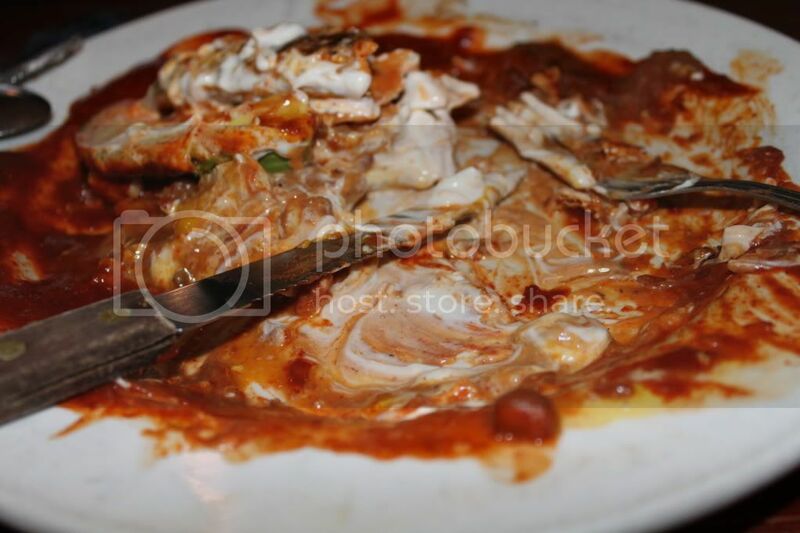 (And just in case you were wondering, the huevos were just as appetizing).